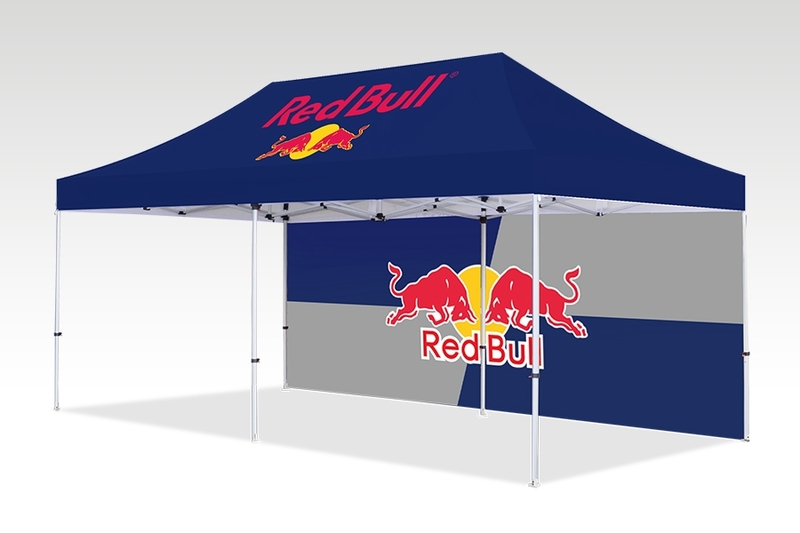 Our Pop Up Gazebos come complete with full colour printed canopy and a heavy duty 45mm hexagonal aluminium frame. 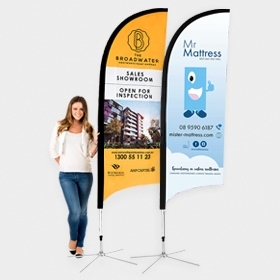 We print your logo, text or images onto all sides of the canopy so it provides fantastic exposure for your brand at an amazingly low price. 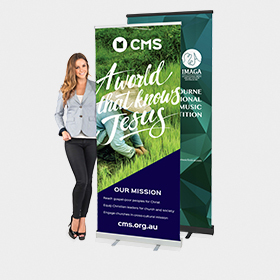 For even more brand exposure and protection from the elements you can order the optional walls for the back and/or the sides which includes single or double sided full colour print. 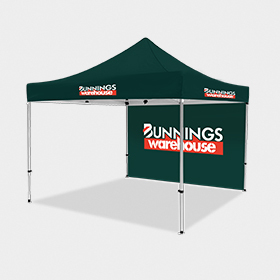 The printed marquee can be easily assembled in 5 minutes and then packed away in it’s own compact deluxe carry bag with wheels. It is perfect for corporate events, school fetes, sporting club events, market stalls or anywhere a temporary shelter or canopy is required. 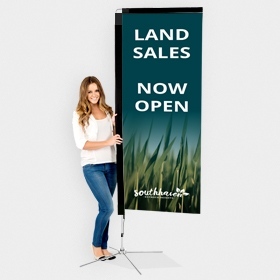 Optional full size or half size back and side walls with single or double sided full colour custom print available. How long will my Pop Up Gazebo take to produce? 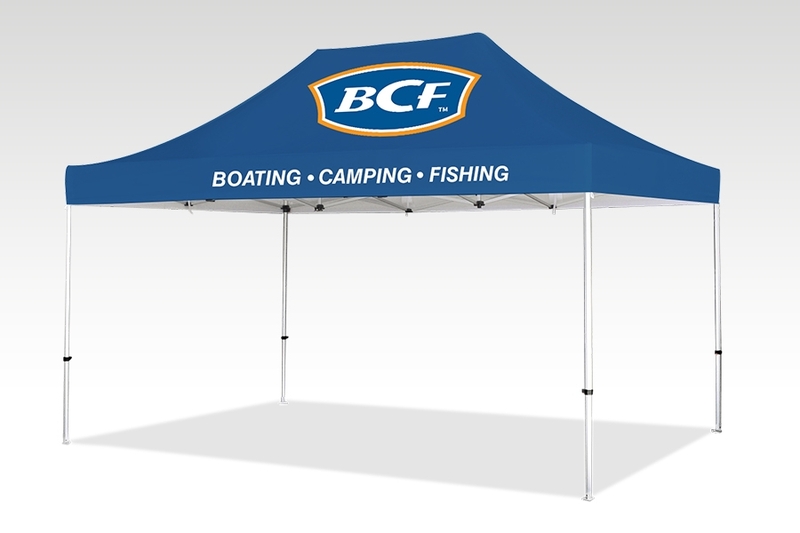 What material is the printed canopy? 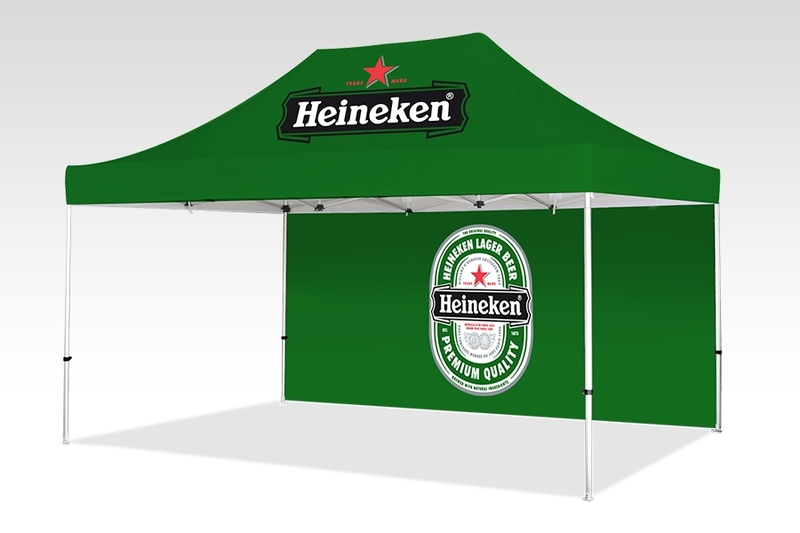 The canopy is made from a high quality 500D Oxford polyester material and includes high resolution full colour printing. 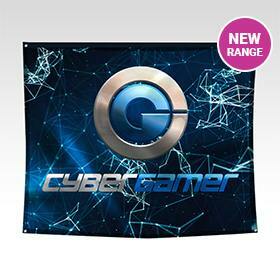 The material can be printed with any colour and logo/design you choose. 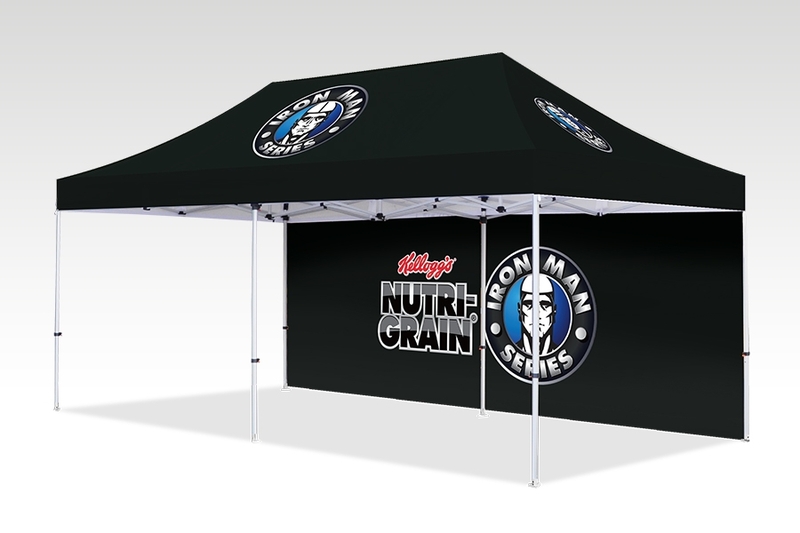 Is the Pop Up Gazebo canopy 100% waterproof? 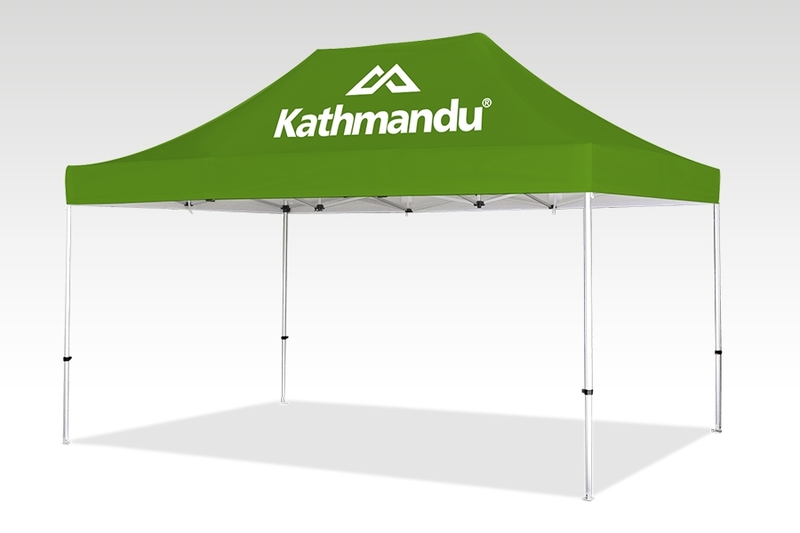 The canopy is an Oxford 500D Polyester material which is designed to repel water and is certified for Water Repellency to AS2001.2.16 (pdf file is available to download from ‘Other Downloads’ section on this page).This material is classified as waterproof as it will prevent rain from coming through under normal conditions. However, if water is allowed to “pool” on top of the canopy, the water will eventually seep through the material. 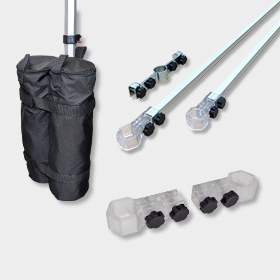 It is important for customers to avoid water “pooling” on top of the canopy for this reason. 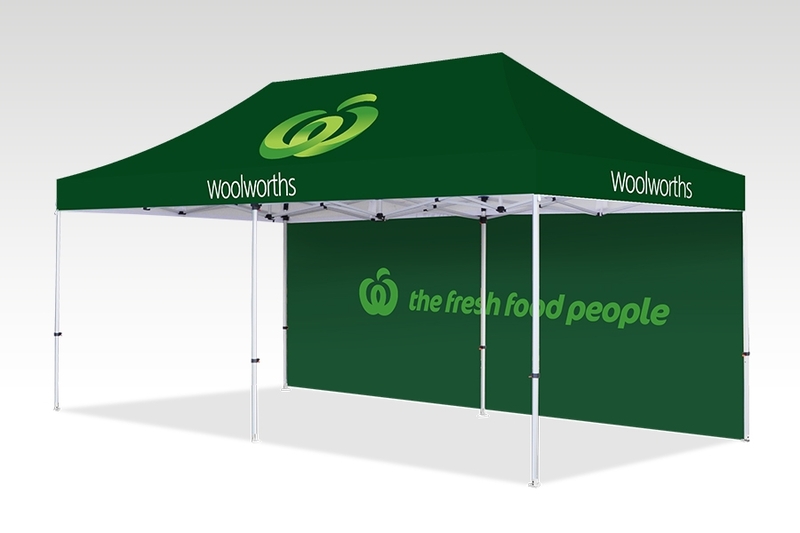 Are the canopy and walls of the Pop Up Gazebo flame resistant? Yes - the canopy and wall materials pass the CPAI- 84 Standard which is a recommended standard for flammability of recreational tents. What is Structural Engineering Certification? 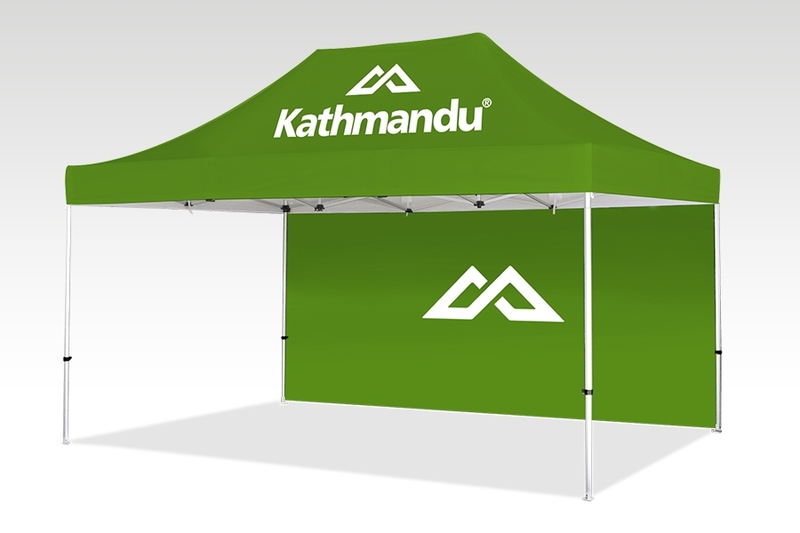 ​An increasing number of event companies and government departments require the Pop Up Marquees to have Structural Engineering Certification - and will not allow you to use a gazebo unless you can provide this certification. 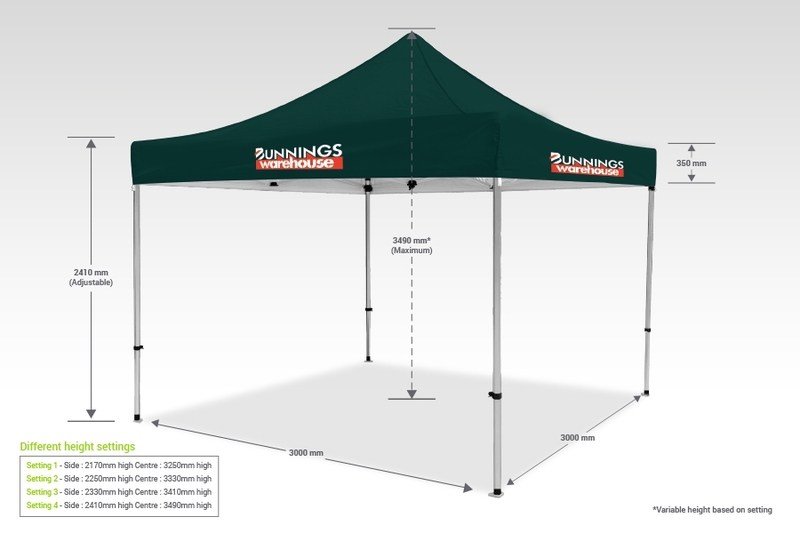 This certification means that the Pop Up Gazebos have been tested by a structural engineer to ensure that they perform to the required specifications up to a certain wind speed. 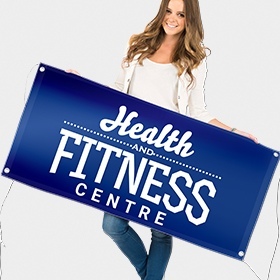 You can download our Certificate from the ‘Other Downloads’ section on this web page. What is Structural Engineering VBA Compliance? ​The Victorian Building Authority (VBA) have some different requirements than other states. This compliance letter states that our Pop Pop Up Gazebos have been tested by a Structural Engineer and comply with the VBA requirements. You can download our VBA Compliance letter from the ‘Other Downloads’ section on this web page. How long does it take to assemble the Pop Up Gazebo? It only takes 2 people about 5 minutes to set up the Pop Up Gazebo. 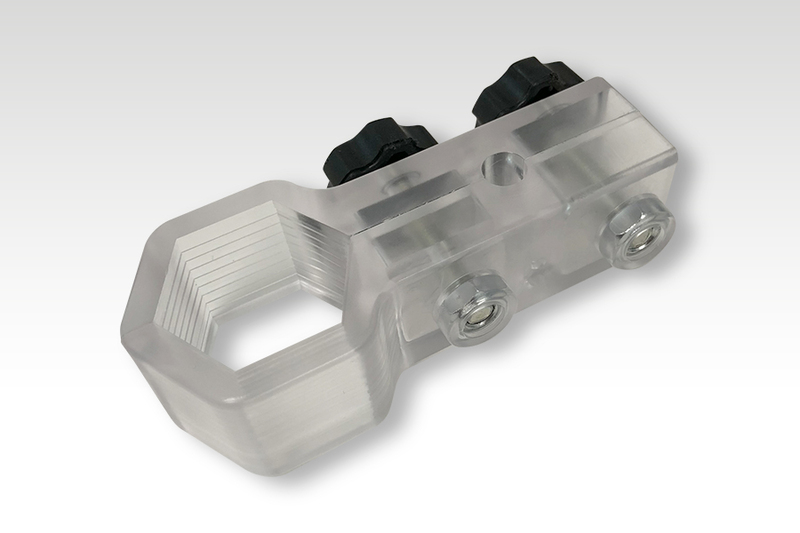 You can download our Assembly guide from the ‘Other Downloads’ section above. Once the canopy has been attached to the Pop Up Gazebo frame the first time, it can stay attached to the frame so future setup is even faster. 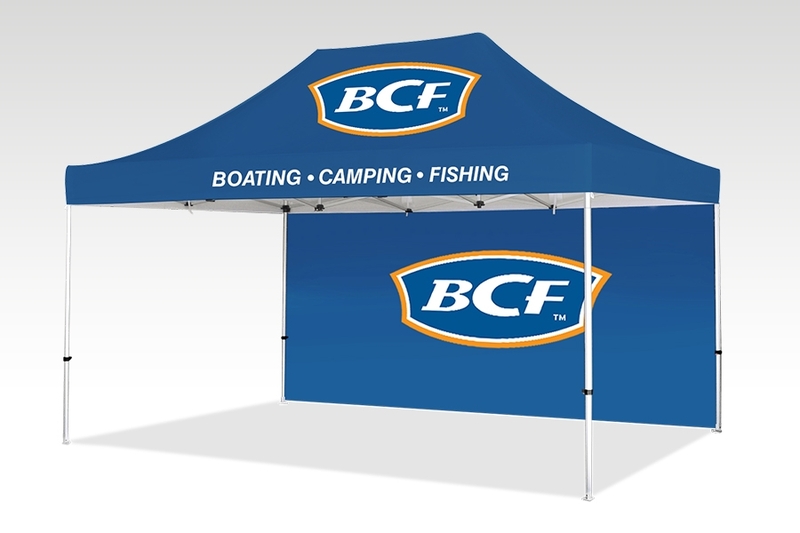 However we recommend removing the canopy if the Gazebo is being transported in a horizontal position. 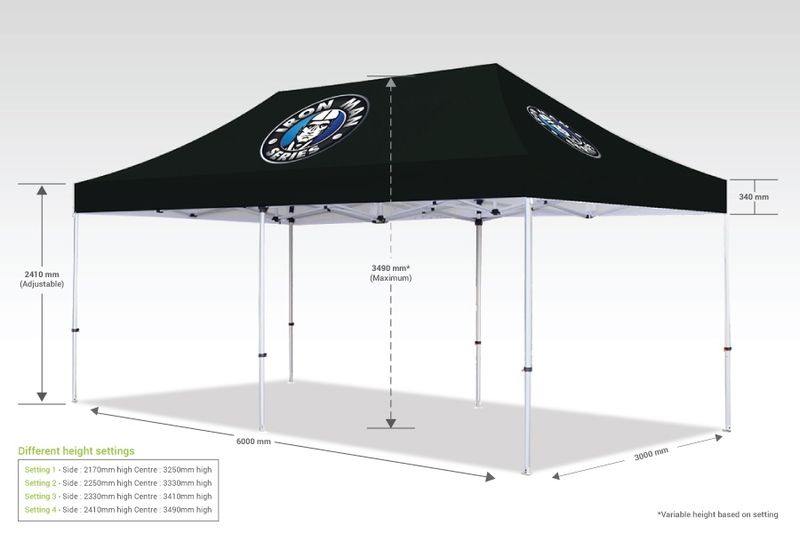 Which side of the Pop Up Gazebo Wall will be printed? 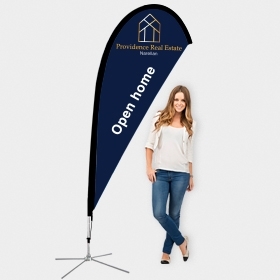 The printed walls have velcro sewn along the top on one side - to allow it to attach to velcro sewn onto the inside of the Gazebo canopy skirt. This means that a single sided print is not reversible so it is important to select whether you want the print facing the inside or outside. 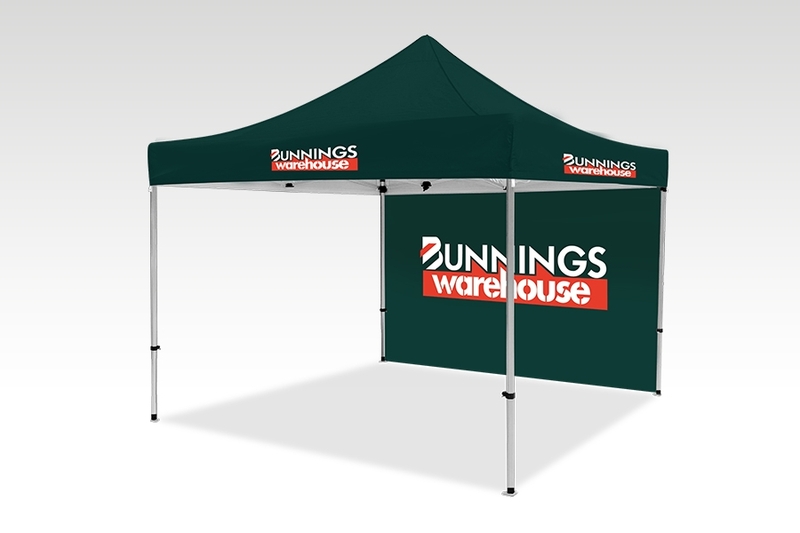 One of these options, or double sided print, must be selected in the pricing calculator when you choose to order a wall for the Gazebo. 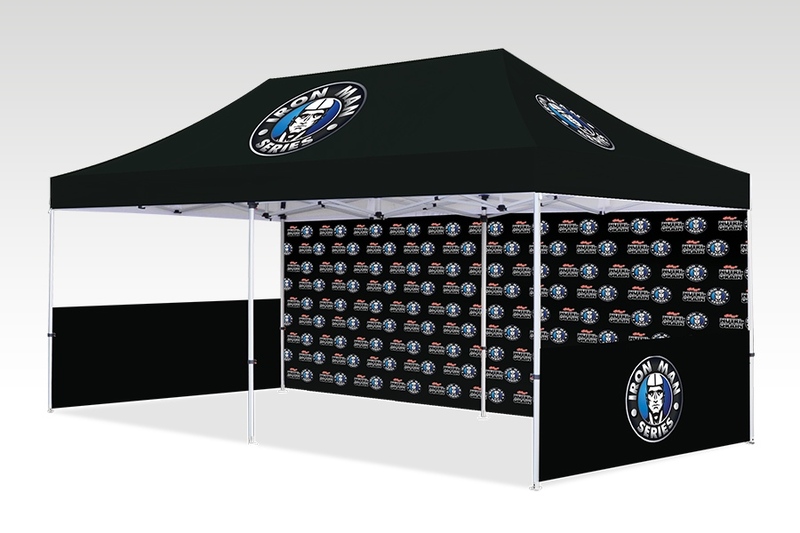 How do I attach the back wall to the Pop Up Gazebo? 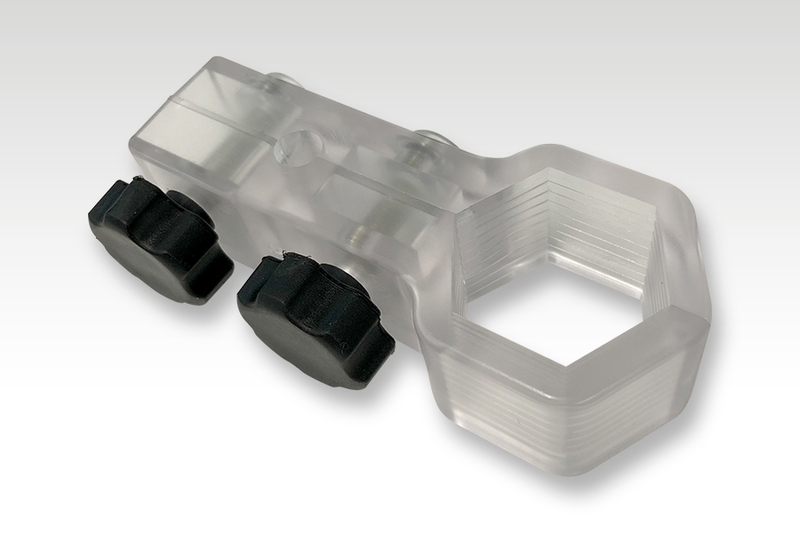 The full back and side walls come with a strip of HOOK Velcro across the top and with Velcro loops down each side. The HOOK velcro strip at the top of the wall is attached to the LOOP Velcro on the valance of the canopy (the skirt of the roof) - and the velcro loops are attached around the vertical poles of the frame. 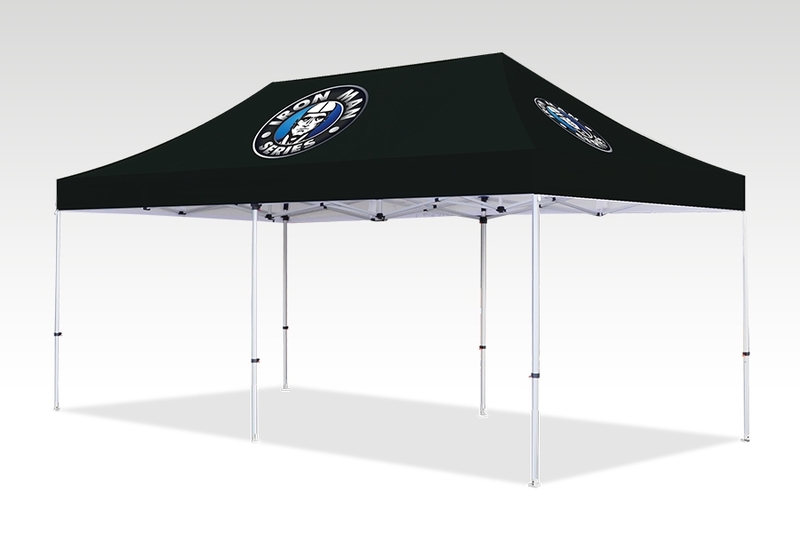 How do I secure the Pop Up Gazebo? 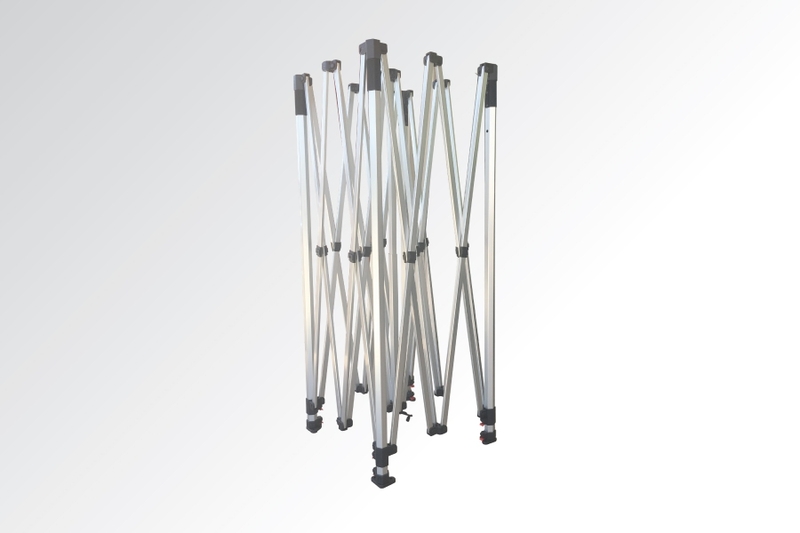 The steel base plates on the base of each leg has 2 holes where you can insert tent pegs to secure the Pop Up Gazebo. 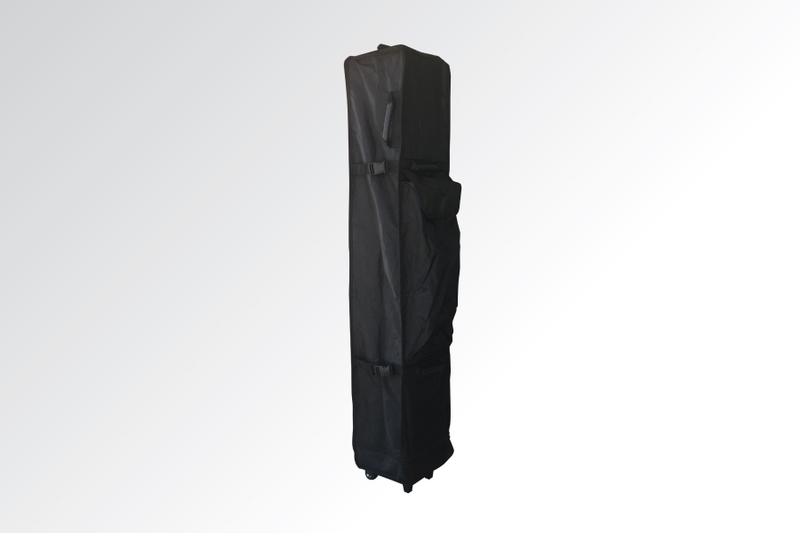 We also supply sandbags which can be filled with 10 kgs of sand and attached to the posts of the Pop Up Gazebo - you can see these on our Gazebo Accessories web page. 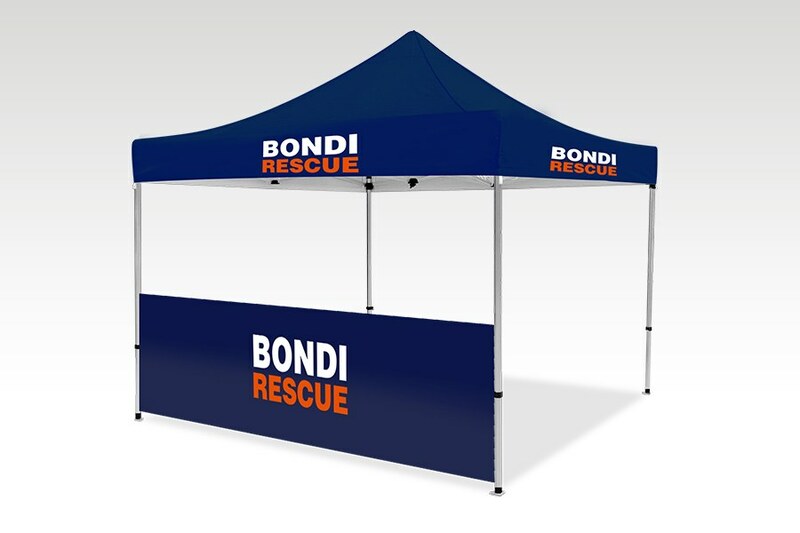 However we strongly recommend that you obtain professional advice on what is required to secure your Pop Up Gazebo in your specific location. Pop Up Gazebos should not be used during strong winds. 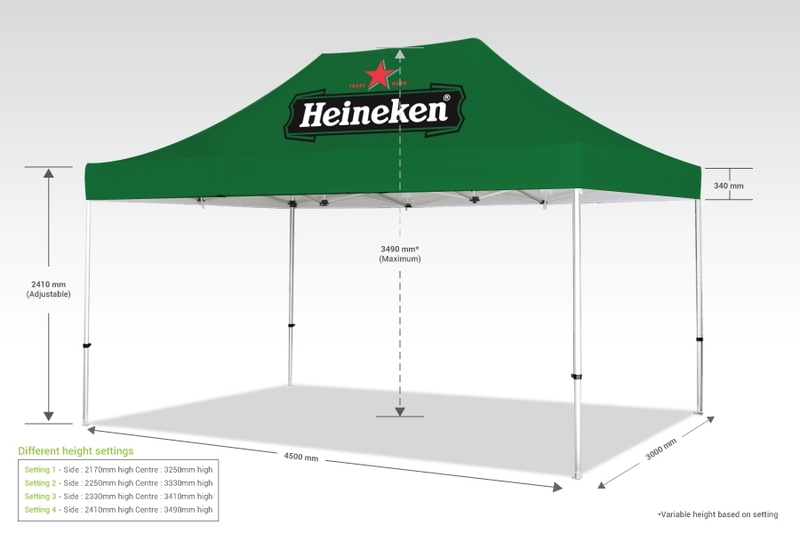 What is the actual size of the optional back and side walls for the Pop Up Gazebo? 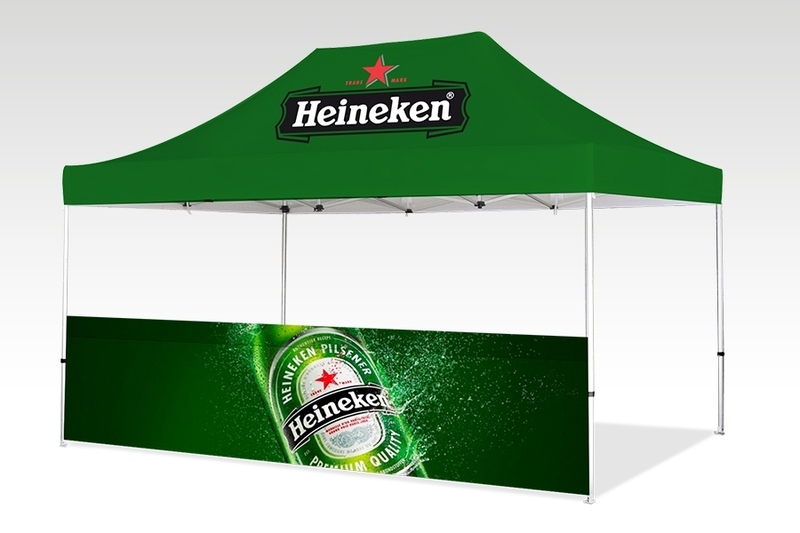 What is the size of the half walls for the Pop Up Gazebos? 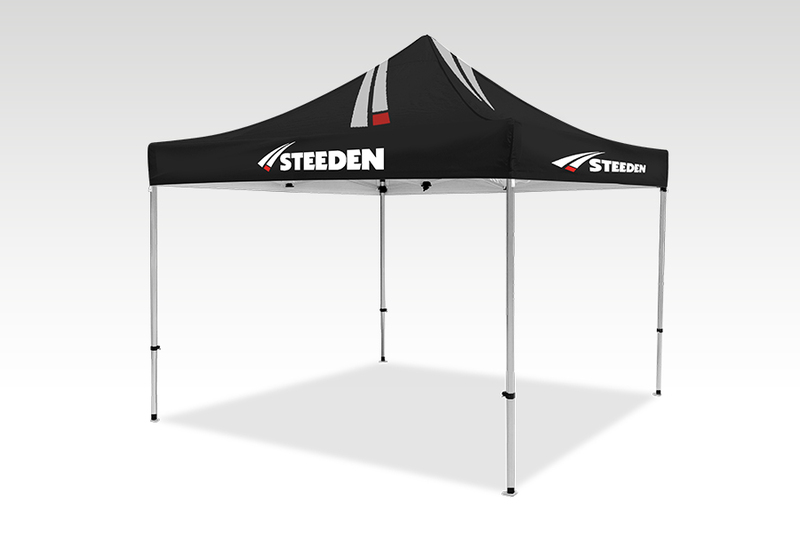 How do I order side walls for the Gazebo? 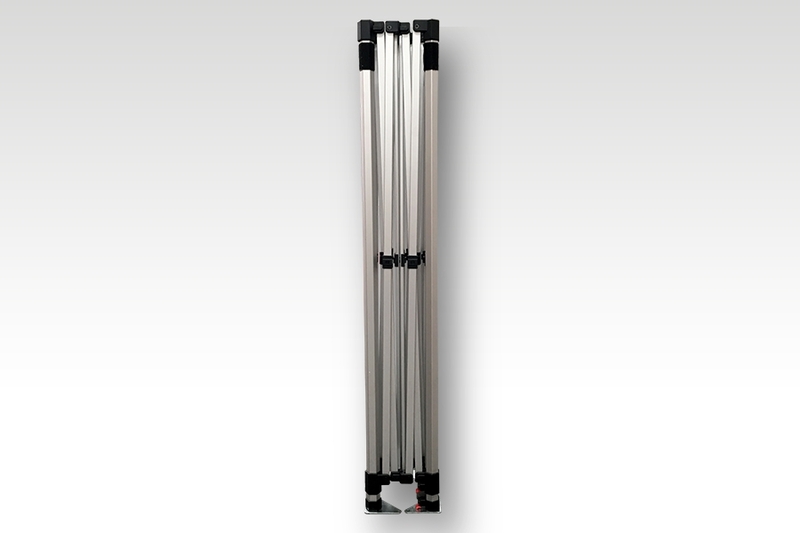 In the pricing calculator on this web page you will find options to select “Back Wall”, “Left Wall” or “Right Wall”. You simply select the walls you would like for your Pop Up Gazebo and the pricing calculator will work out the price. You can then add it to your cart and proceed through checkout to submit your order. 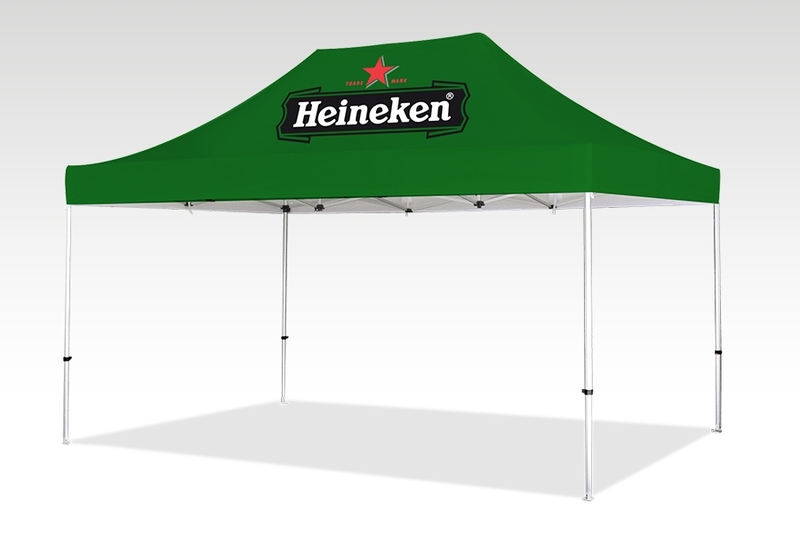 What comes with the Pop Up Gazebo Half Wall Support Kits?